Receiving a proper education is one of the most essential things that a person who desires to become a productive member of the society requires. 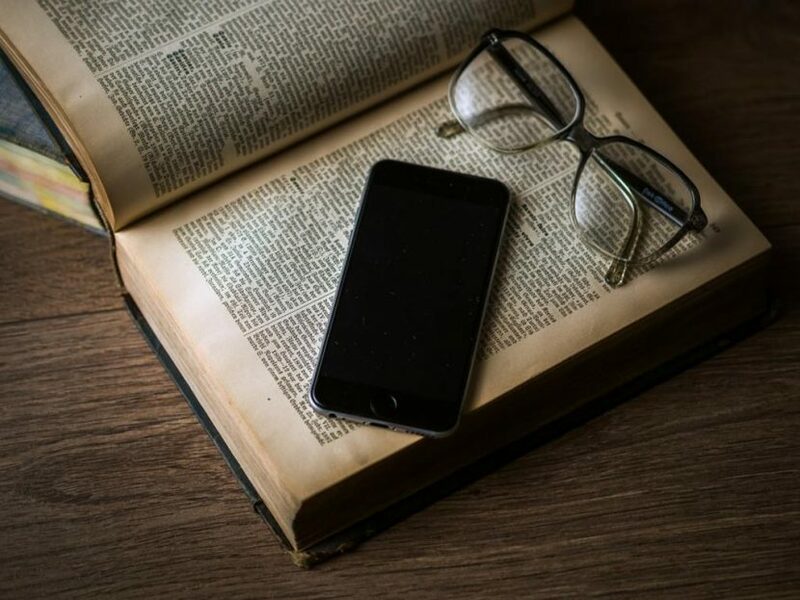 With mobile devices now available, education has taken to another level of democratized learning by allowing anyone with a device and internet connection to get nearly the same quality of education as the most prestigious institutions. This article discusses some of the best apps designed to provide premium learning and different ways to exercise the mind while on-the-go. Khan Academy is one of the most popular educational apps promising to teach nearly any subject that a user wants to learn. The app is designed to be a personal learning resource with its multitude of learning exercises as well as instructional videos. In addition, the app also features a personalized dashboard empowering their learners to proceed at their own pace whether inside or outside of the classroom. As students learn at their own pace, Khan Academy recognizes that following one’s pace is the best method to encourage a student to learn effectively and efficiently as opposed to a one-size-fits-all approach. To cover a broad range of topics in great detail the app includes subjects such as including science, math, history, economics, computer programming, and more. Through partnerships with institutions including MIT and NASA, etc., Khan Academy serves much like a global classroom as it caters to students from over the world. With their resources being translated to over 36 languages, students from anywhere are able to take advantage of a tool that allows them to learn at their own pace and get educational access cheaply and efficiently. Quizlet is an education app offers its users a suite of tools that help to improve their studying anytime and anywhere. Through the use of flashcards, games, and other study tools, students using Quizlet are able to learn and develop better studying habits and is the reason why many students are already using the app as it effectively helps in creating study plans. With features such as the ability to set reminders and actionable study sessions, Quizlet makes studying a lot easier to follow as opposed to an unguided session that can prove to be less productive. The app also embodies several other study modes including flash cards, study games, and multiple choice tests to be able to adapt to the learning desires of the individual user. Using machine learning in order to process data combined with proven cognitive techniques, this platform is able to effectively drive efficient and fun learning to all its users. Socrative Student is regarded as a great education app because of how it serves as an interactive environment where both teacher and students can share their learning. As an app that is easy to use and implement into the studying process, Socrative Student provides an interactive learning experience with the teacher asking questions, conducting assessments, and conducting polls for students in order to gauge the level of understanding and engagement. Using the Socrative Learning platform, the teacher first needs to setup a classroom and then receive a room number. The students can then enter the virtual classroom and interact with others using their mobile devices where there are either predesigned questions or ones that the teacher has create. Similar to Quizlet, Socrative Student also has multiple question formats that are available including multiple choices, true or false, and even short answers for a greater variety. In terms of tracking progress, graphs and other visual indicators are generated after every session with results that can emailed directly to the students afterwards, making it a must-have for effective studying. When it comes to effortless access to quality educational content, Google Classroom is the go-to learning solution developed by Google. As a simple and intuitive app that is able to integrate into other learning tools such as Google Docs, Sheets, Email, Drive, and other Google apps, Google Classroom offers a more productive learning experience. From the perspective of the teacher, management of the learning material and monitoring habits are also made possible while also encouraging a paperless educational environment. Through this level of digital integration, it is now possible to create a class or help with students on a remote level even when not in a physical classroom. As teachers are more accessible, Google Classroom is able to leverage the advantages of technology to advance learning for students while making the education aspect more democratized even for remote students. As one of the world’s largest K-12 learning community where students, parents, and teachers can safely and securely connect with each other to support learning, Edmodo is an app that promotes knowledge to be more than just facts and figures. With the app, students are able to connect with people and resources to access a social networking platform where students, teachers, and parents meet to bridge the gap in education. Edmodo acts as a tool which empowers teachers to be more creative and unique in their teaching styles taking in consideration the learning styles, study habits, and various levels of potential among their students. From the perspective of parents, the app allows direct contact with teachers and other educators to become more involved with the education and progress of their children. In terms of learning, Edmodo provides students and teachers with wide range features including unlimited storage, ability to assign homework and schedule quizzes, easily create groups, and manage student progress, embodying everything that is necessary for reinforcing and enhancing the student learning experience. With the range of tools that are available for education and studying, the ones listed in this article are the best for students to utilize in order to improve their studies while teachers can improve the learning experience. Although each of the apps have different functions, using them in conjunction with one another can significantly enhance the learning experience for students from increasing accessibility with teachers to schedule planning and leveraging learning tools.